March 22, 2013 marked the 20th anniversary of World Water Day, a day designated by the United Nations to remind us that we have a global water crisis on our hands. Living in an industrialized country, it’s easy to forget that 2 billion people on our planet still live without access to clean water. But in a country like Cambodia, it is impossible to ignore the foul smell of polluted rivers and the bloated bellies of the children swimming in them. Here, and all over the world, children are dying each day from preventable diseases caused by drinking contaminated water. Students cannot attend class and parents cannot work because they are sick with diarrhea. So nothing gets done and the country goes nowhere. For countries wanting to develop, this is a crisis. The poor will never be able to lift themselves out of poverty without having access to clean water first. So how do you give people access to clean drinking water? The answer is simple: drill wells and install a purification system. So simple in fact, that dozens of organizations have been springing up across Cambodia to drill wells and provide water filters. Some operate under the umbrella of large international agencies, others are small and local, but they are all doing the same thing. Or are they? Everyone knows the saying “give a man a fish and you feed him for a day; teach a man to fish and you feed him for a lifetime”. Unfortunately, many aid organizations working in developing countries forget to apply this philosophy. Despite their efforts to ‘do good’, all they’re providing is charity. People don’t learn to walk by being carried their whole life. But there are several good organizations in Siem Reap who are training Cambodians to help themselves. 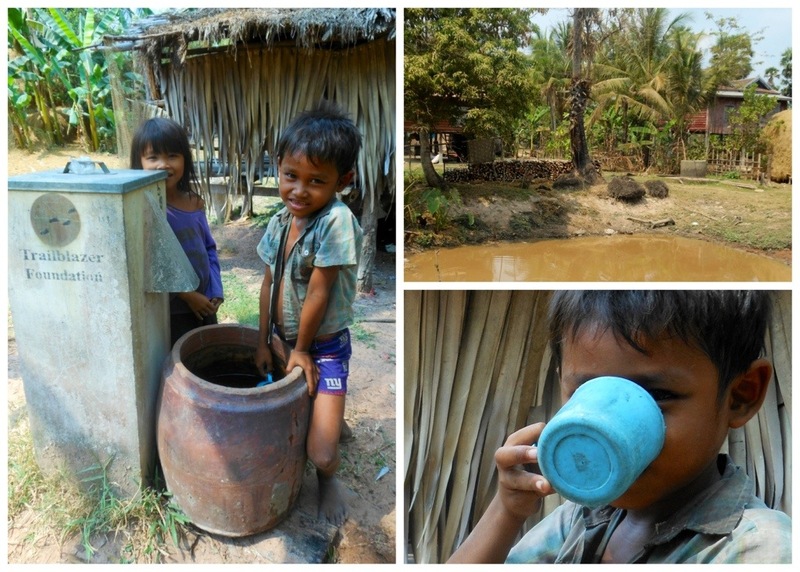 Water For Cambodia is one such organization. They provide subsidized bio-sand water filters and affordable water quality testing. Although this organization functions more like a service provider than a humanitarian aid, they are a source of crucial information for other organizations looking to improve quality and efficiency while reducing the cost of producing bio-sand filters. 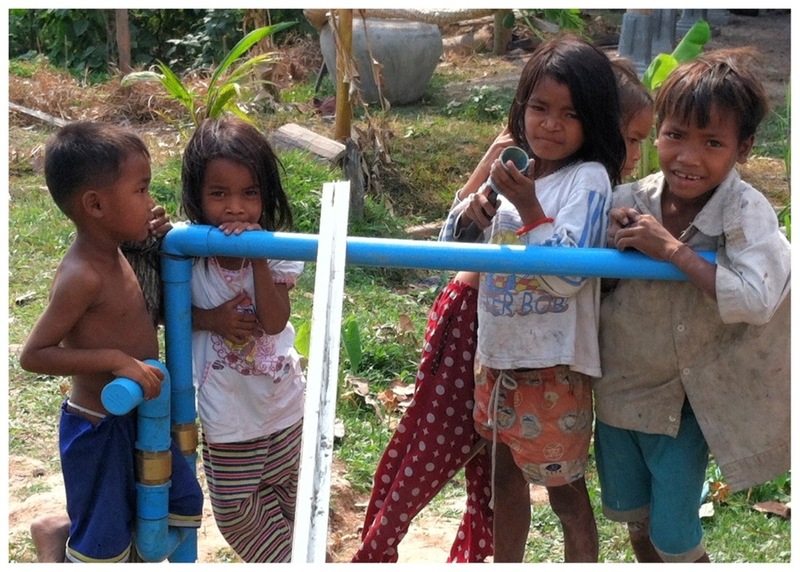 The Trailblazer Foundation is one organization that digs deeper into Cambodia’s water crisis. When a villager buys a water filter from the Trailblazer Foundation, the money goes into a community fund. The fund is managed by the Village Chief and used to support community loans for buying livestock, kickstarting a new business, or building a new school. 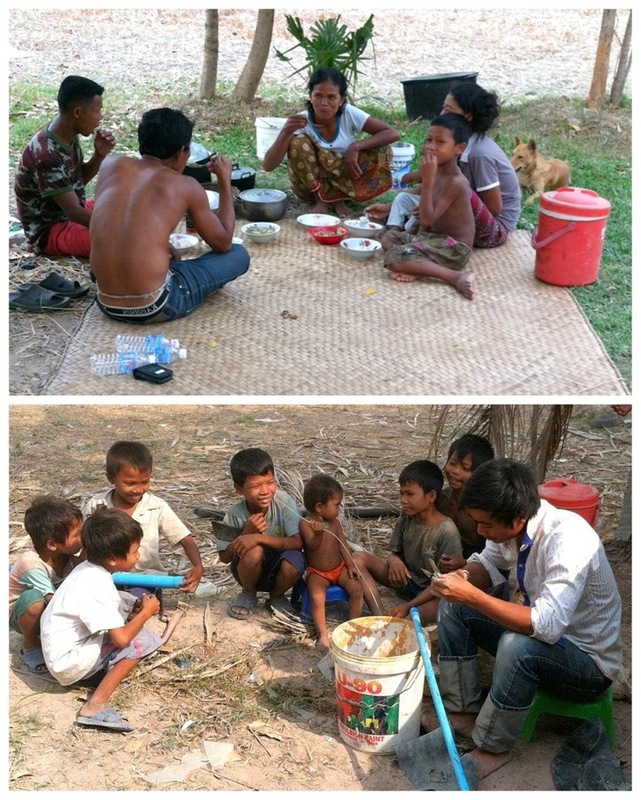 Villagers learn that an investment in their health is an investment in their livelihood. With sudden access to clean water, families can start producing the crops that Trailblazer staff and volunteers teach them to plant, irrigate and harvest. When village children are no longer sick, Trailblazer provides them bicycles to get to school and shoes and mosquito nets to protect them against tropical diseases. With time, the villagers begin to lift themselves out of poverty. It is an incredibly simple equation, but it must start with access to clean water. When I first arrived in Cambodia I thought it was inefficient to have so many organizations in the same town working on the same issue. Does the world really need so many overlapping organizations? But as I became more exposed to the scope of the water issue and the range of challenges, I understood that their existence was valid, if not vital. The water crisis is complex and multifaceted; it must be attacked from all angles if we are to have any chance at a sustainable solution. Based on what I’ve seen, I can’t believe that there’s one best solution to this problem. So I commend the Trailblazer Foundation for introducing a practical model of sustainable development. 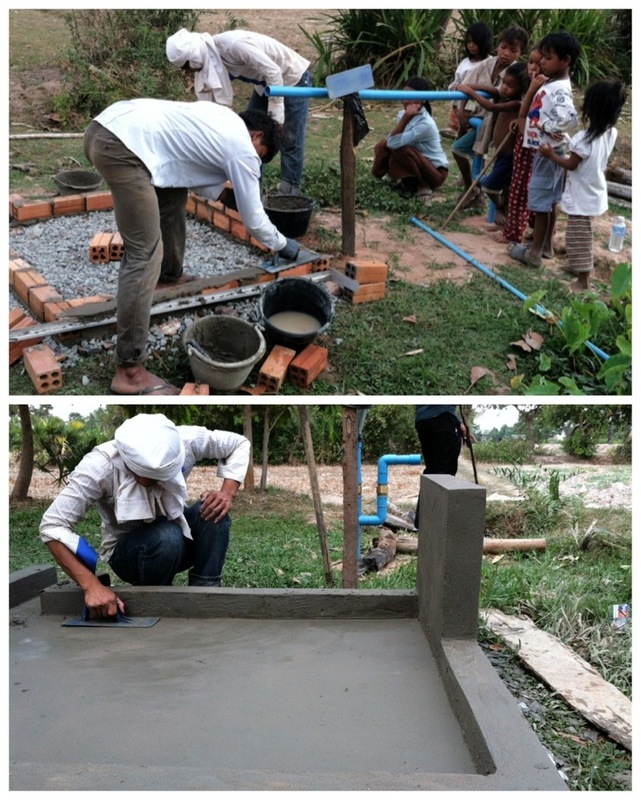 I commend Water for Cambodia for continuing to evaluate and improve the production of water filters. And I commend the countless organizations who educate people on the subject of health and hygiene (I guess you really can’t have too many educators in the world, can you?). For someone like myself, who has studied environmental sciences and grown up celebrating Green Up Day, the connections between the environment, human health and economic growth are obvious. I know how to keep my indoor and outdoor environments clean. I know how diseases are spread. I know how to identify and avoid harmful bacteria and toxins. But I wouldn’t know all this if someone hadn’t told me… I forget this sometimes. What would I have done with my trash if I didn’t have a bin that was collected on Saturdays? Where would I have gone to the bathroom if I didn’t have a toilet? What would I have drunk if I didn’t have a sink connected to the city’s water or a Brita filter in my fridge? I might have done what the people in Cambodia are doing. Working with Trailblazer has been an eye-opening lesson and a humbling experience to say the least, but the most valuable lesson is this: tackling the water crisis is not about providing people with charity; it’s about providing a source of empowerment and personal incentive. It is a painfully slow process, but – drop by drop – we will get there. Happy belated World Water Day! Celebrate with me by learning one new fact about water at http://www.water.org.